I’ve always had vivid memories of my early years. The first time I saw Jaws was at a drive in in the back seat of my parents’ station wagon. I know… back then my parents took me to every movie, regardless of its inappropriateness (by today’s standards). There was Valley of the Dolls at the drive in (when I was 3), which made me fear bathtubs and haunting music. It’s the very first movie I remember seeing. Then there was The Godfather (when I was 7). It made me fear tollbooths… and I’d laydown near the floorboards of our station wagon whenever we passed one for months afterwards. And Jaws (I was 9) made me fear swimming, or dangling my feet off the dock in murky lake water. All I can say is, thank you mom and dad, and thank you Spielberg, because you scared the crap out of me in the way that I still treasure to this day. You want strong writing, you got it. Editing, it’s there. Emotional moments that hit you in the stomach, yup. 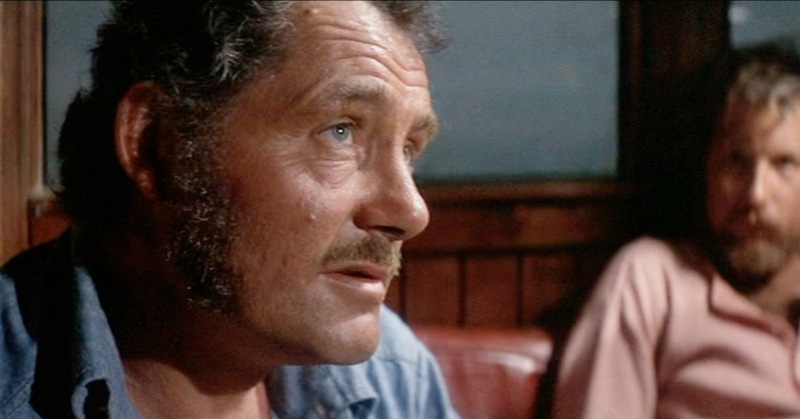 Btw, I still cringe every time Mrs. Kintner asks Chief Brody if he knew there was a shark out there, have an “aww moment” when the Chief’s boy mimics his dad’s body language as he mulls over the situation he’s facing, and feel despair when Quint meets his toothy end. There is really so much I love about this movie, but wanted to call out a few things stand out to me that ingrained the movie in my mind from an early age, and have continued to give me so much pleasure over the years. I’ll sum it up as the smell, the speech, and inference. Few movies have more to work with than sight and sound, but I’d swear Spielberg has a knack for activating the sense of smell through the big screen. You can practically smell the milky, acidic stomach fluid that seeps from the shark that Hooper cuts open to check for remains, or the steam cloud coming off the shark jaws Quint boiling clean in his shop, or the sun-ripened chum Chief Brody throws off the stern, or the black oily smoke belching from the engine. I swear, of any director, Spielberg came the closest to inventing Smell-o-vision of any director. 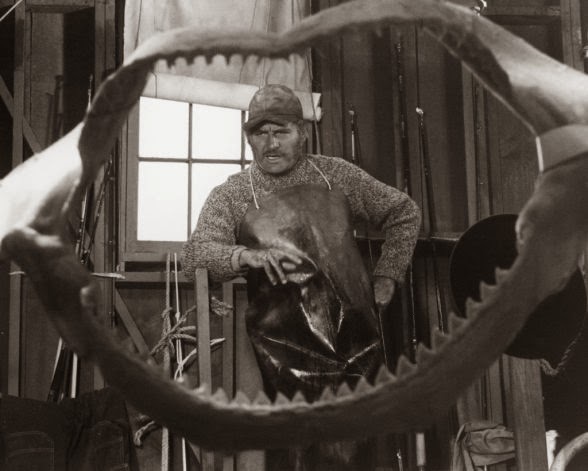 Much as been said over the years of the scene where Quint and Hooper go head to head in a “scar off” in the galley of the Orca…each trying to outdo each other with tales of their brushes with danger. So I won’t go into that. I just want call out the Quint’s Indianapolis speech in particular. Born of the work of screenwriter Howard Sackler, elaborated on by John Milius, and edited down and finessed by Robert Shaw, the Indianapolis speech grabs you by the throat with an amazingly emotional, toothy bite. The powerful, yet understated, manner in which Robert Shaw delivered those words is my favorite delivery of all time, in any movie. 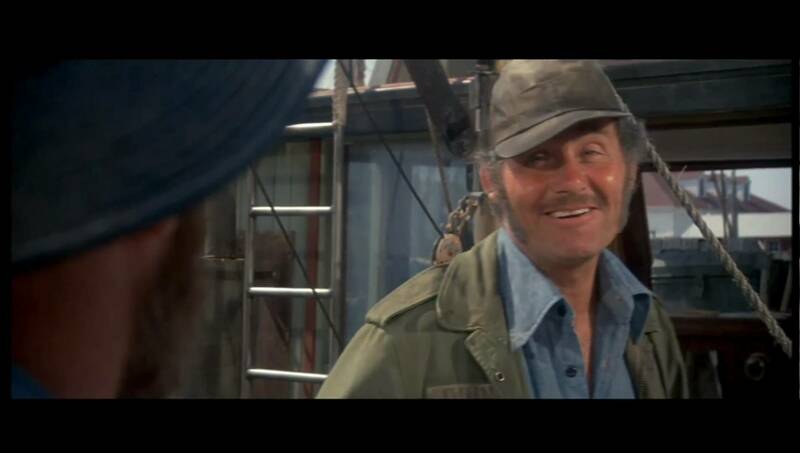 I leave you with my favorite part of the movie…one that occurs at the start of the third act, when Hooper and Quint are talking about the shark cage that he’s bringing aboard. Something about the way Quint queries Hooper on what he’s intending, on what he’s going to do with the cage, reminds me of my dad. As a teenager, whenever I was about to embark on some adventure where I’d not fully planned out my actions (which was about everyday) my dad would ask me a series of questions that, more often than not, would cause me to think about what I was planning…without blatantly calling me an idiot. Quint: [seeing Hooper’s equipment] What are you? Some kind of half-assed astronaut? Quint: Jesus H Christ, when I was a boy, every little squirt wanted to be a harpooner or a sword fisherman. What d’ya have there – a portable shower or a monkey cage? Quint: Anti-shark cage. You go inside the cage? Quint: Cage goes in the water, you go in the water. Shark’s in the water. Our shark. Quint: Farewell and adieu to you, fair Spanish ladies. Farewell and adieu, you ladies of Spain. For we’ve received orders for to sail back to Boston. And so nevermore shall we see you again. To this day I respect anyone who can call me an idiot to my face in such a clever fashion. It’s how we learn, and keep from being eaten by a great white. 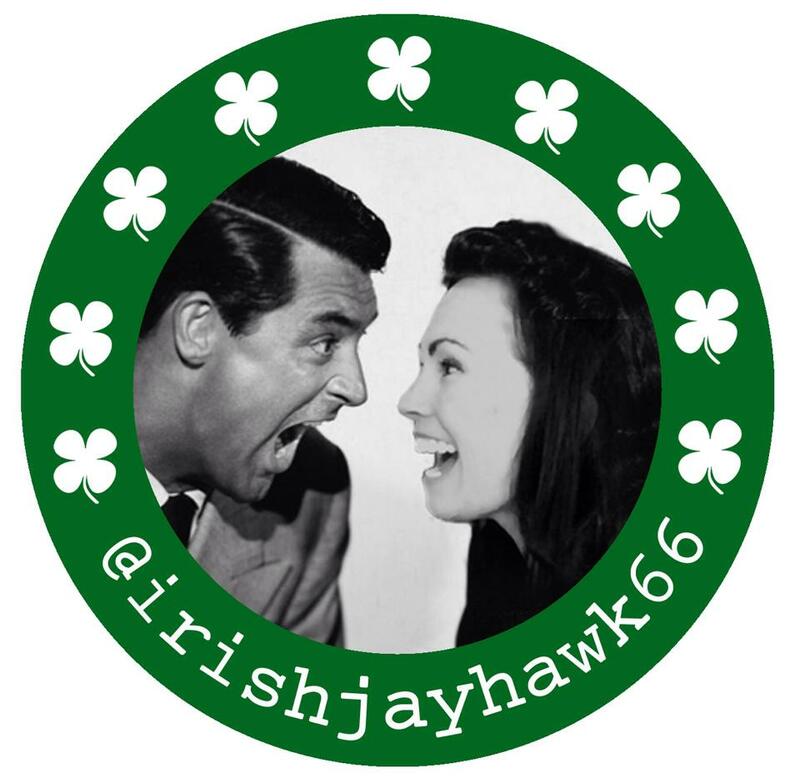 Farewell and adieu to you, classic movie fans. 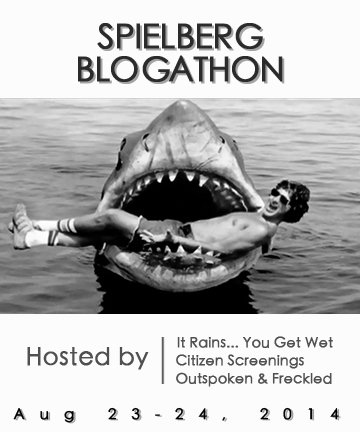 Thanks for letting me participate in the Spielberg Blogathon, even though I don’t have a site of my own. *Kris Kringle is a guest blogger who is known for his clever tweets (aka @santaisthinking ), describing daily life while encouraging elves to make toys, otherwise he’s better known as the husband to this site’s host. Quite a testament to a film that you can watch it from the back of a station wagon and still be scared out of your wits! Great write-up of a great movie! Monkey Mom, it was a real nail-biter, foot-biter, torso-biter…. I watched this again earlier this summer for the umpteenth time and still love it. It’s one of those films that are always fresh to watch and never get old. A wonderful look . I saw it five times in ’75, and now I watch it every 4th of July without fail…my favorite movie ever, and I still get a kick out of watching it after all these years, and all these viewings. A fun review with nice memories, Person-Who-At-First-I-Thought-Was-Kellee-Writing-It! One of my favourite movies. That Quint USS Indianapolis speech always floors me. What’s surprising is your choice of favourite scene – I’ve never come across anyone who loved that scene as much as you (nice to see it reminds you of your dad!) but I’m glad you highlighted it because it shows just how good Jaws is away from those obvious moments like the opening sequence, the head in the boat’s hole, Quint’s shark speech and the “smile you son of b****” ending! Thanks, Dan. I actually used a clip of that scene at my dad’s funeral a few years ago. It was my send off to him. Farewell and adieu!